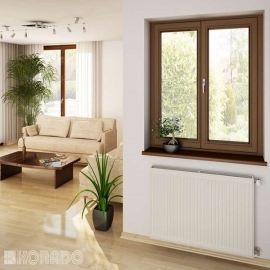 The klasik radiator range are steel panel radiators with a natural circulation of air around the panel. Production occurs in the most modern factory for radiator production in Europe thanks to its up-to date facilities, technology and organization. KORADO, a.s. obtained the ISO 9001 quality certificate in 1997 and already holds the ISO 9001:2008 certification.